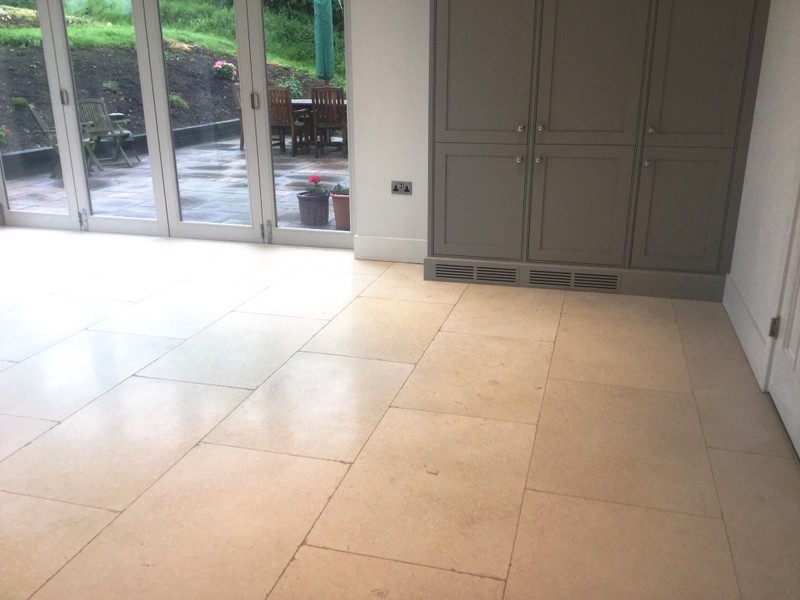 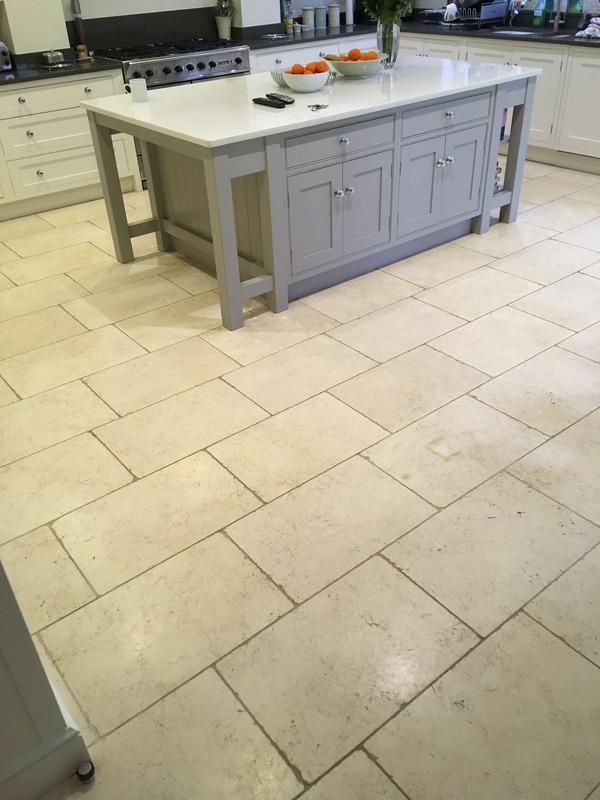 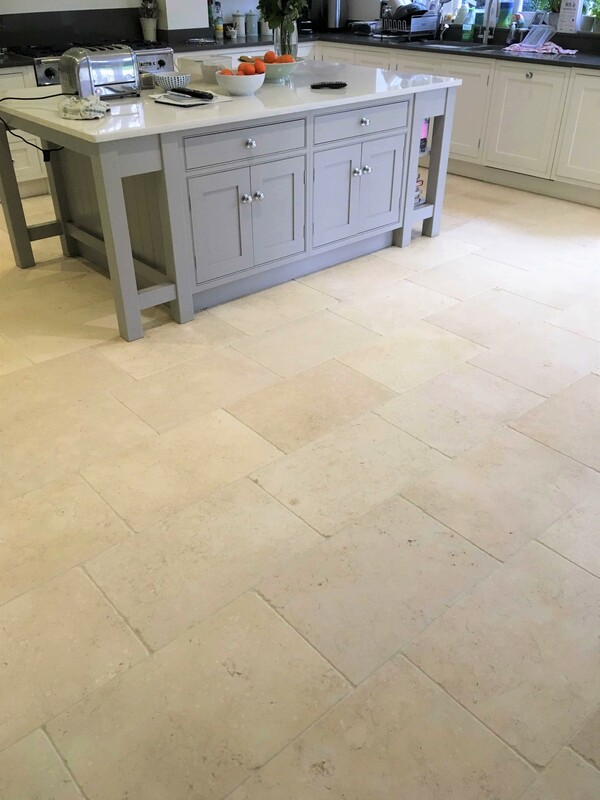 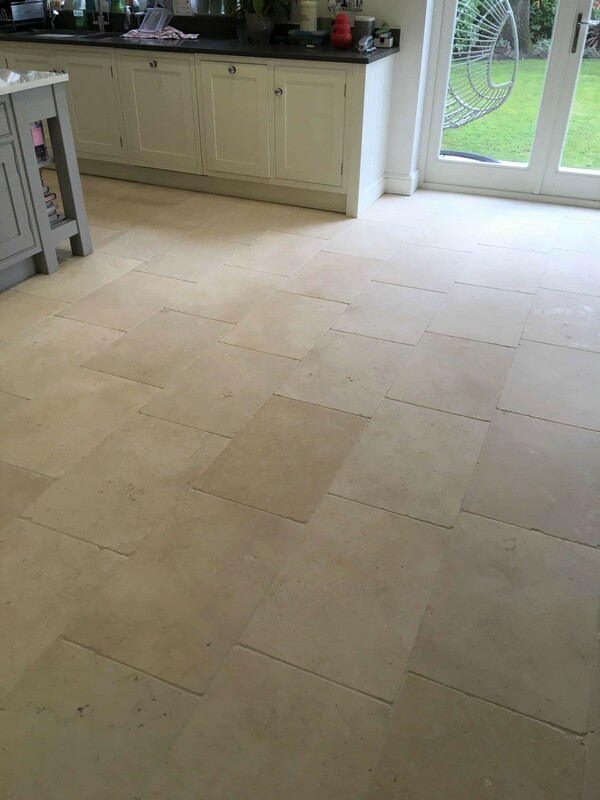 These photos are of a Limestone tiled floor which was installed in the Kitchen approximately at a property in the small parish of Clipston, which is close to the towns of Market Harborough and Daventry, three years ago. 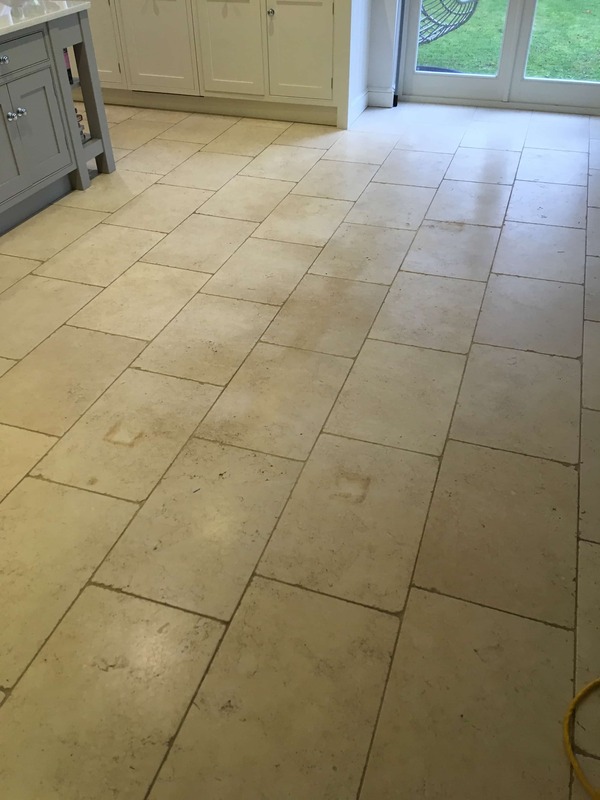 The customer was never very happy with it since it was laid as it never seemed to look clean asked me to cover over and work out what could be done. 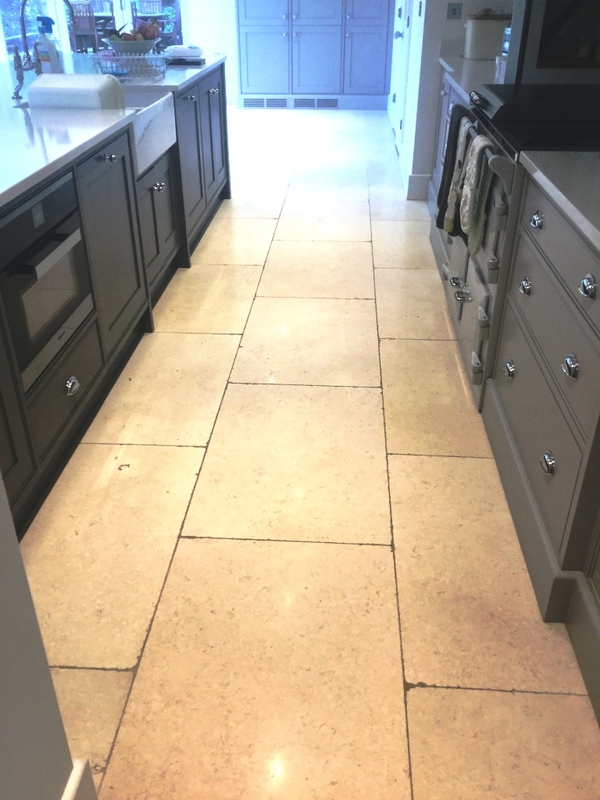 The photographs on this page show the spot restoration of an acid damaged newly installed Limestone tiled floor at a medieval cottage in the historic town on Wokingham, Berkshire. 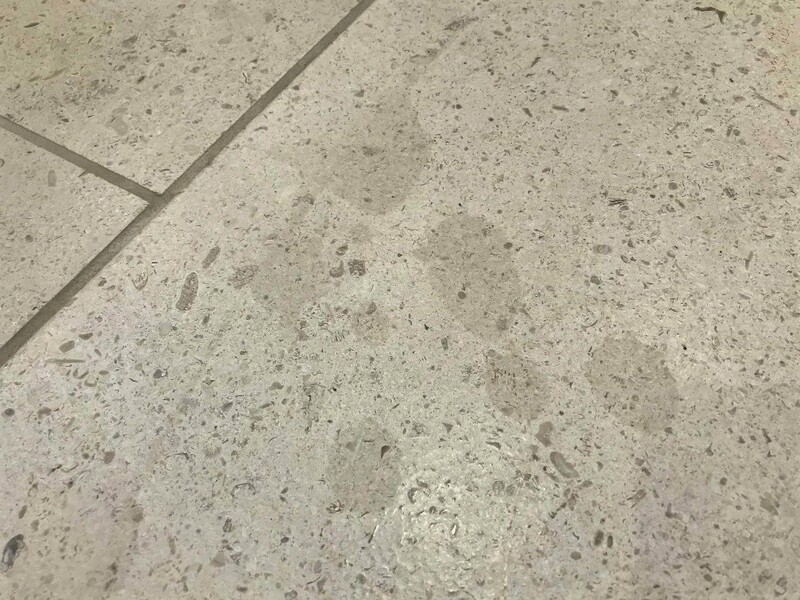 It seems the customer accidentally spilled lime cordial on honed surface leaving dull stain spots on about six to eight tiles. 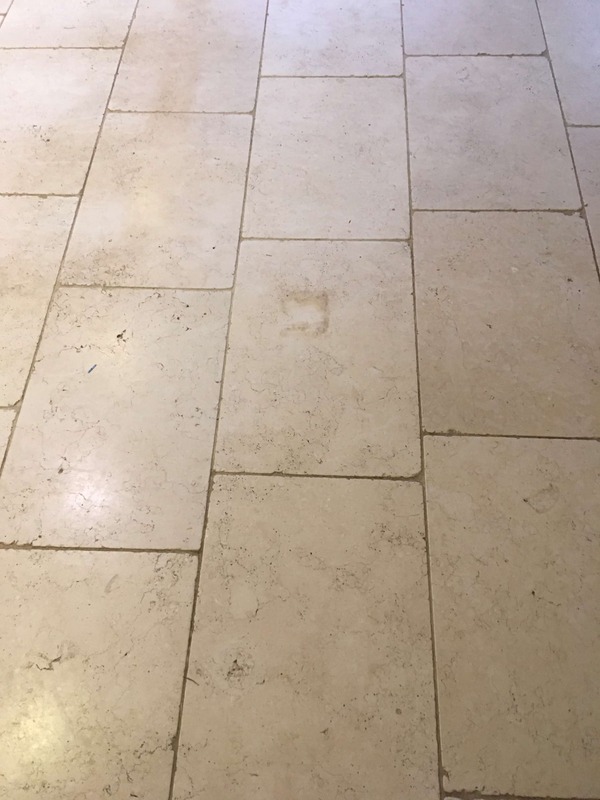 After attempting to remove the damage themselves using a variation of different sealers the customer accepted defeat and contacted Tile Doctor to see if the issue could be resolved. 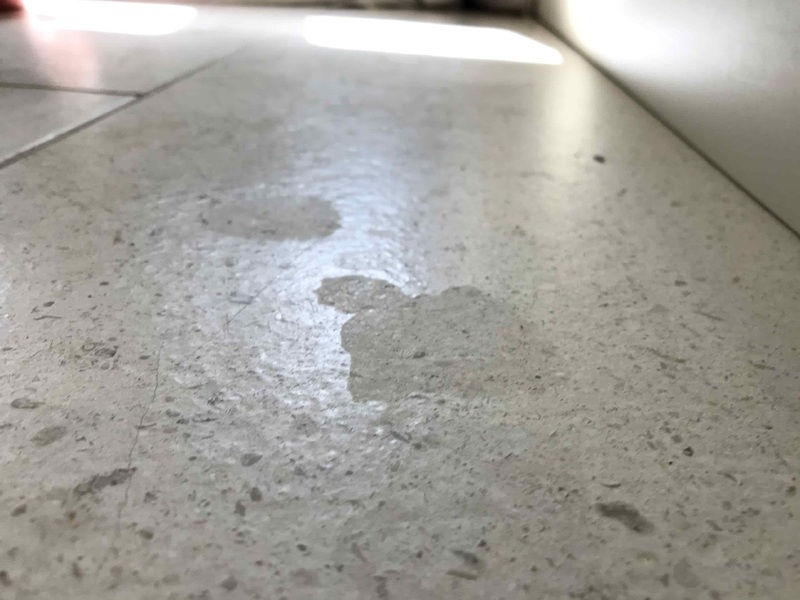 If not, they were considering replacing the floor. 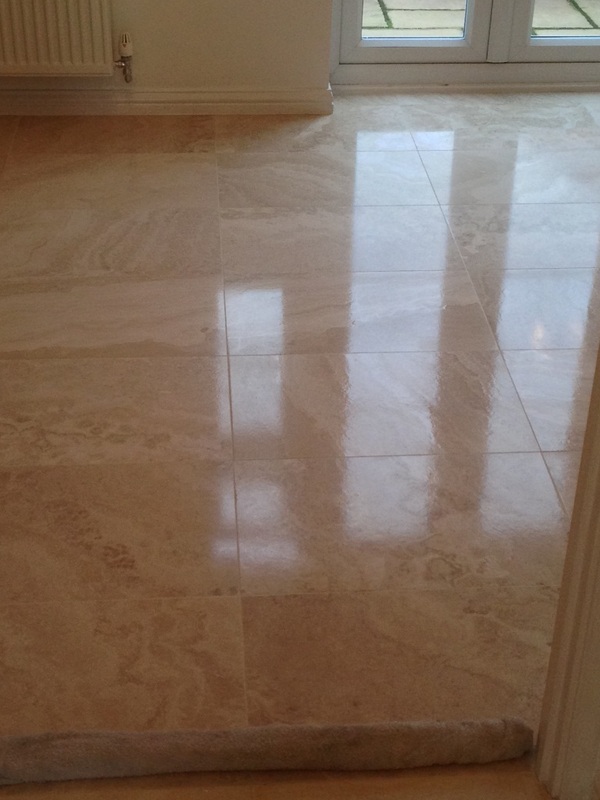 Being the local Tile Doctor for the area I was asked to take a look and advise the customer. 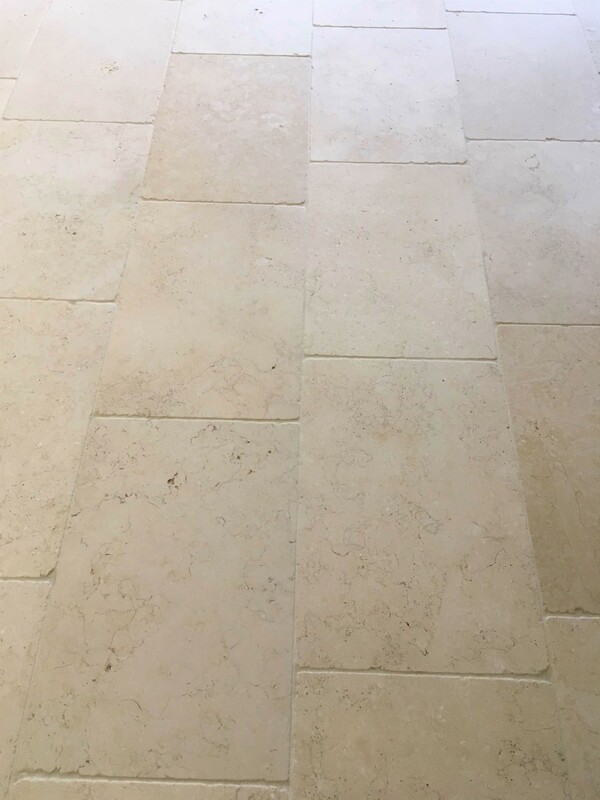 I explained that the dull spots had appeared because the surface tension of the limestone had been damaged from the citric acidic in the cordial. 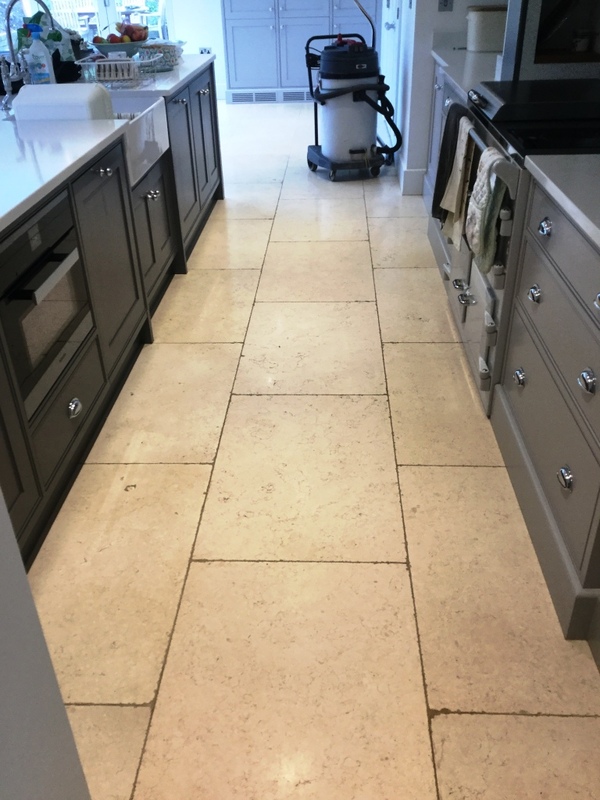 The affected tiles would essentially need to be re-polished; the customer was eager to see if I could resolve the issue and get all the tiles to be as uniform as possible. 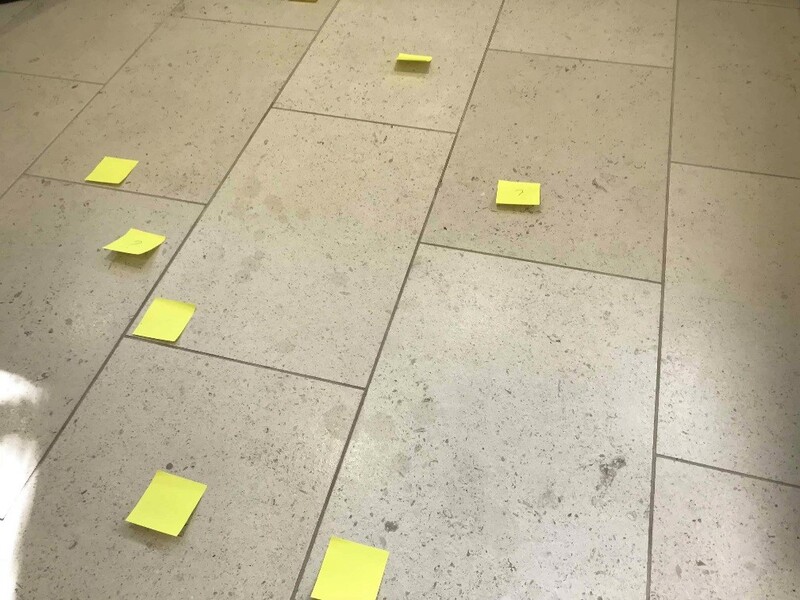 My first task was to identify which tiles needed re-polishing with burnishing pads as once I got going it would be tricky to spot them; I did this by simply leaving post it notes on the affected areas. 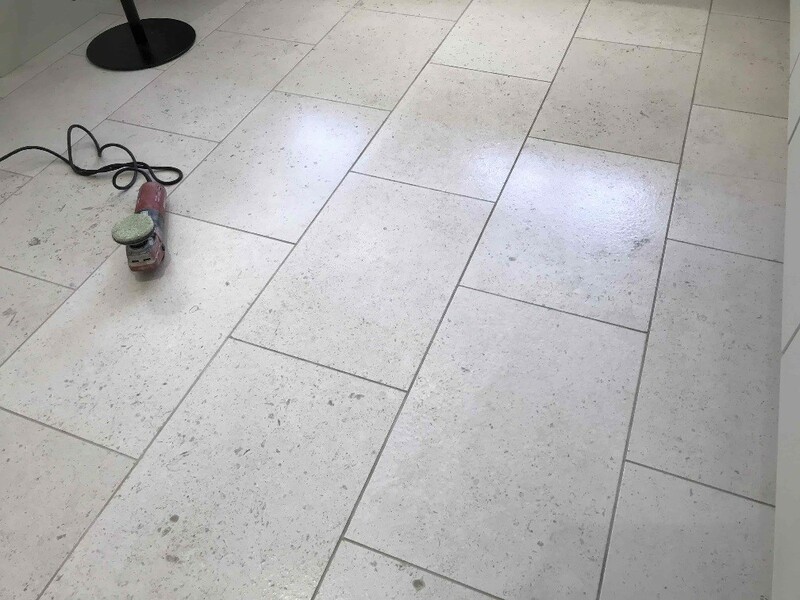 To restore the appearance of the Limestone tiles I started with a 400 grit 3-inch pad fitted to a handheld flex machine. 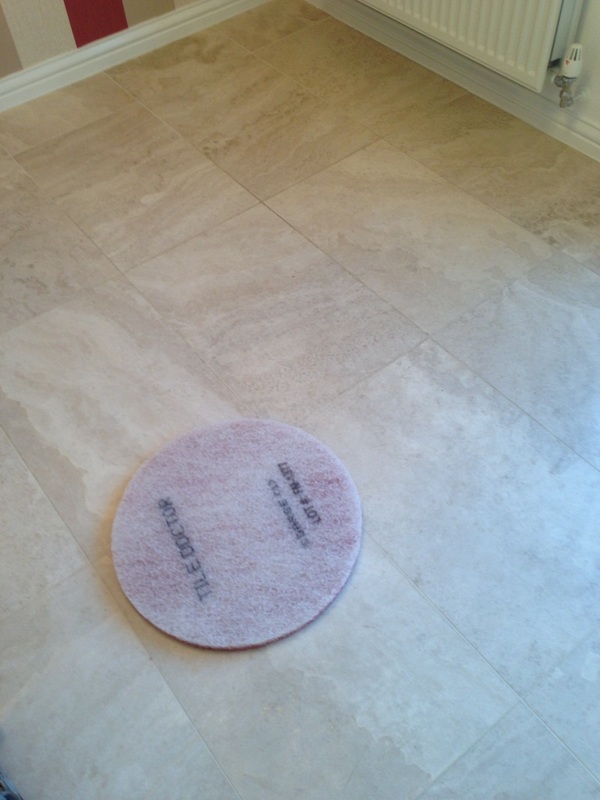 You can’t actually buy these 3 inch pads, they are found in the centre of the large 17 inch floor pads. 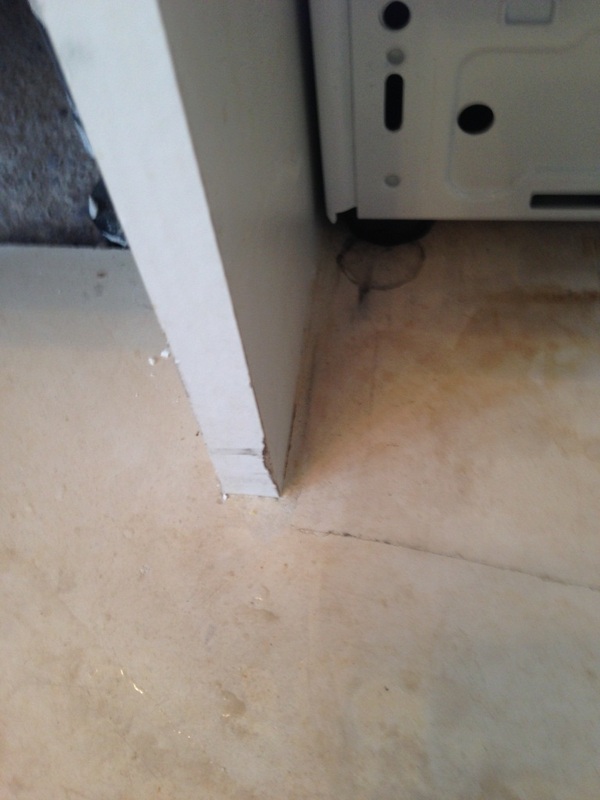 The 400-grit pad is quite abrasive and needs to be applied with water to lubricate. 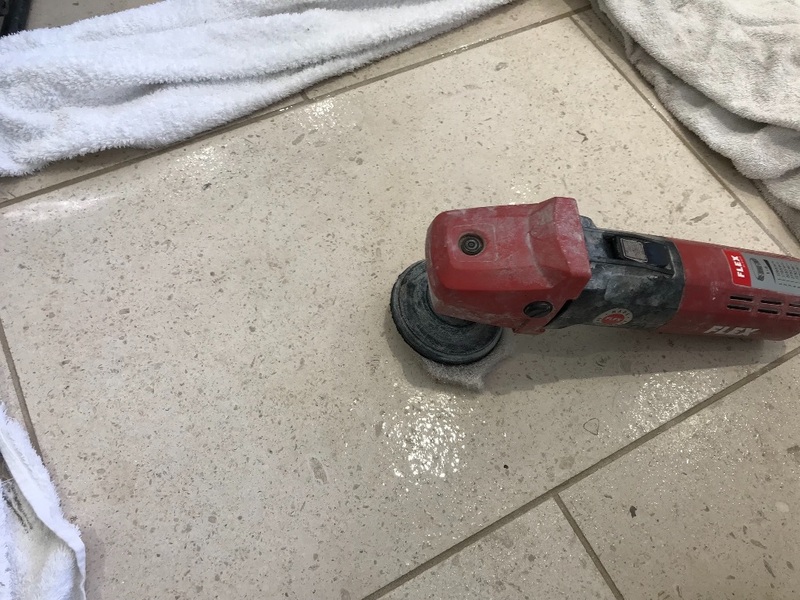 I then followed the 4-stage burnishing process increasing the surface tension with each pad used this to leave the tile with a good sheen and most importantly a uniform appearance with the surrounding tiles. 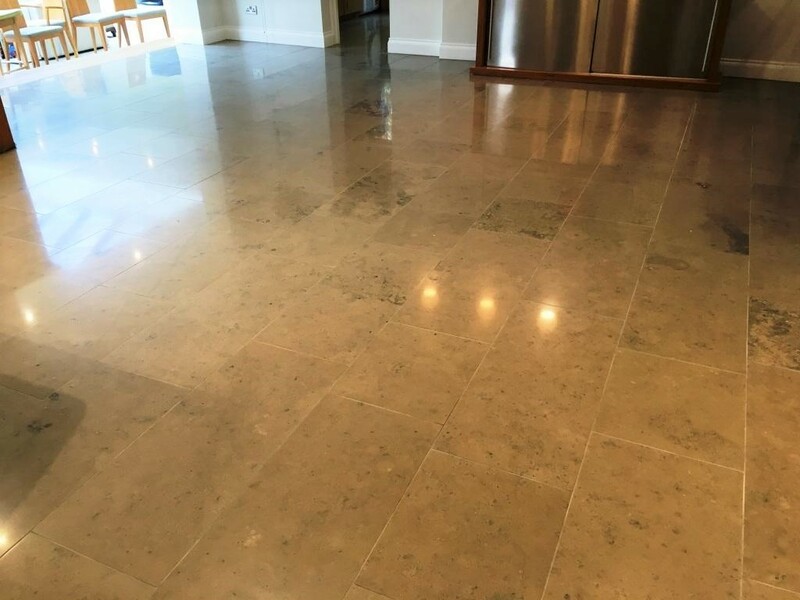 The Burnishing pads are actually loaded with industrial diamonds and you apply them in sequence starting with the coarse 400 grit pad before moving onto the medium 800 grit pad, fine 1,500 grit pad and then finally the super fine 3,000 grit pad which really brings up the shine. 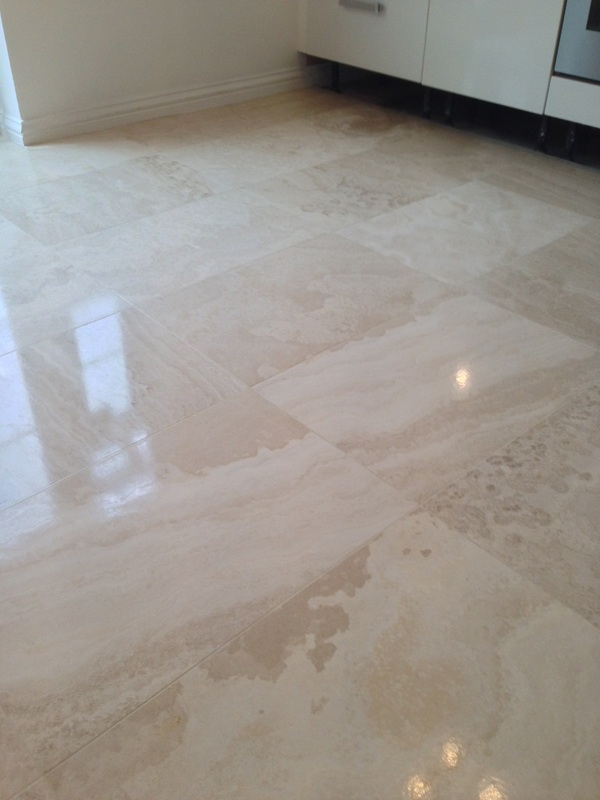 You have to rinse with water between each pad to remove the slurry that is generated. 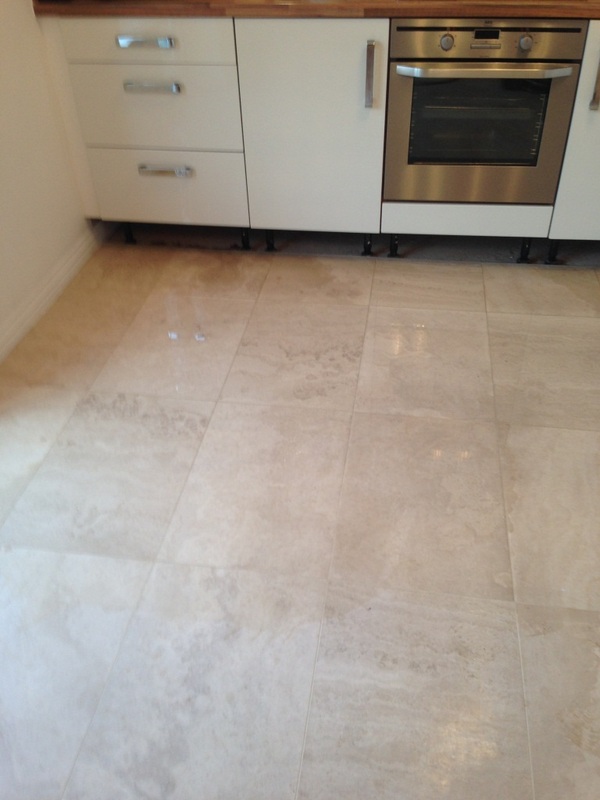 The final 3,000 grit pad is applied with very little water and so the floor is dry when completed. 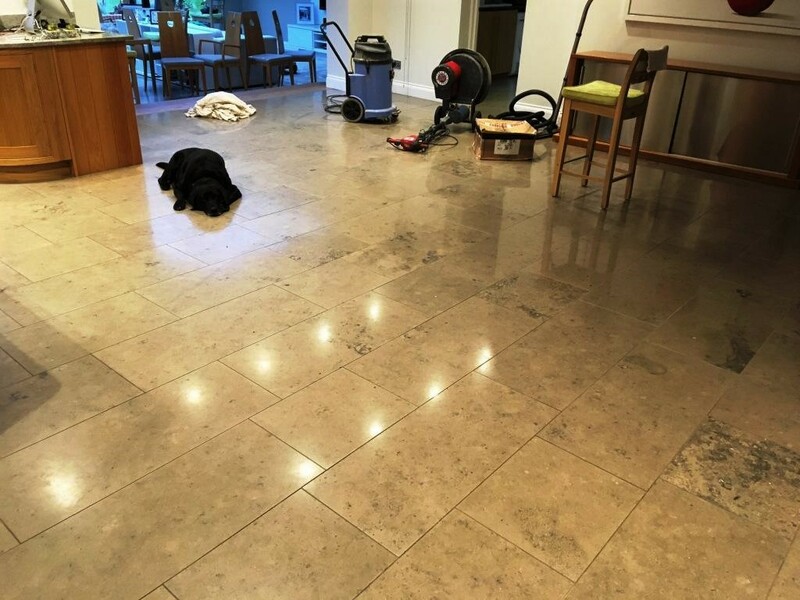 The last step was to carefully re-seal the tiles that had been burnished so they would blend in with the rest of the floor. 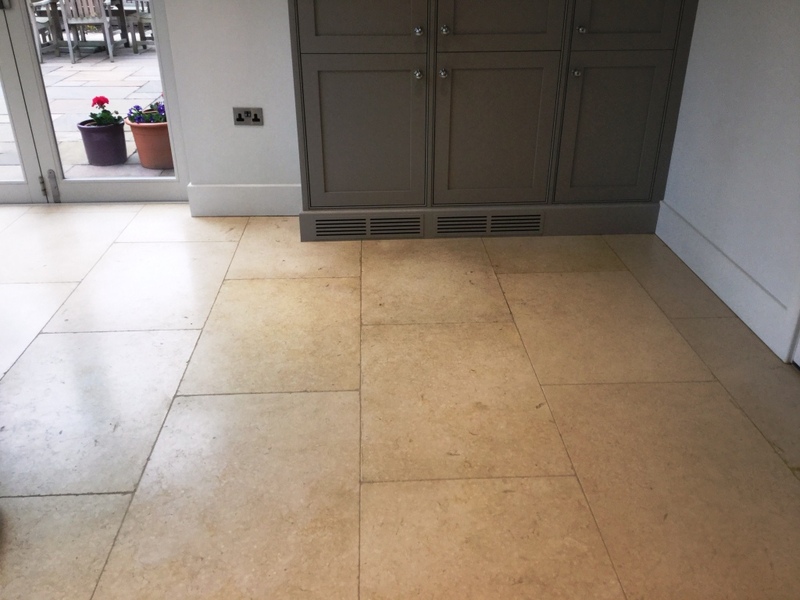 I decided on Tile Doctor Ultra-Seal for this, it’s an impregnating sealer that doesn’t alter the colour of the stone leaving them with a natural look.